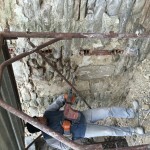 The mild winter has allowed us to work hard on this ruin, located on a hilltop between Gubbio and Umbertide, in the heart of Umbria. 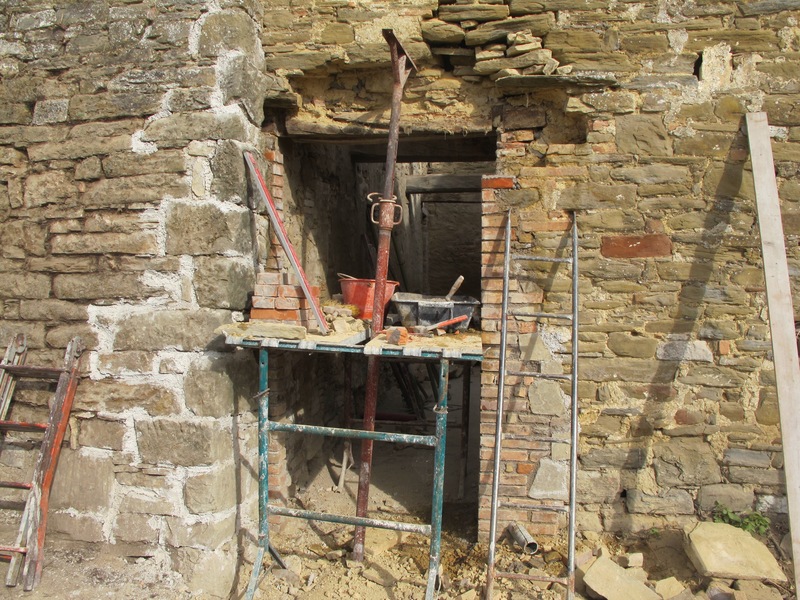 A beautiful stone building, previously a farm, abandoned for over 30 years, that we are now aiming to bring back to life and to become a holiday home and eventually the final Italian residence for a Belgian couple. 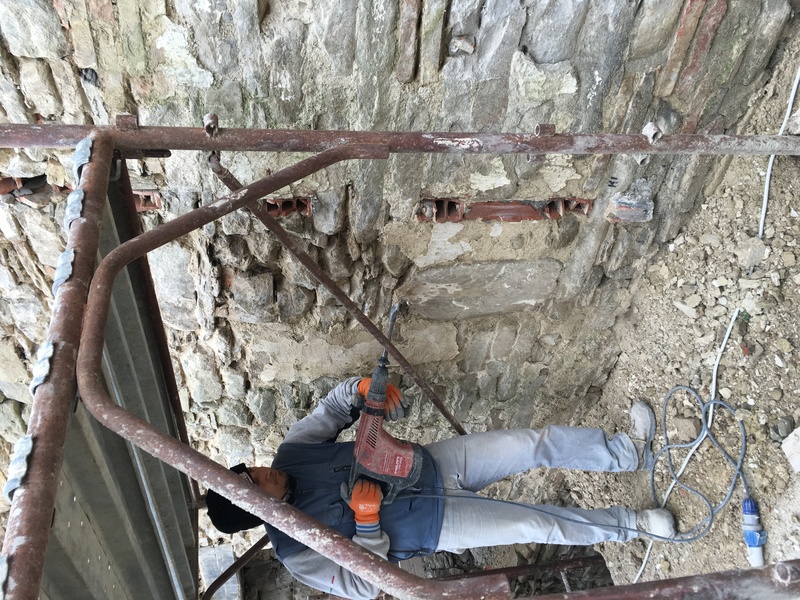 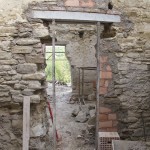 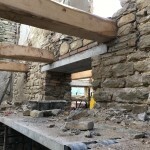 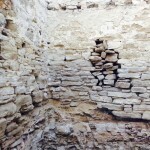 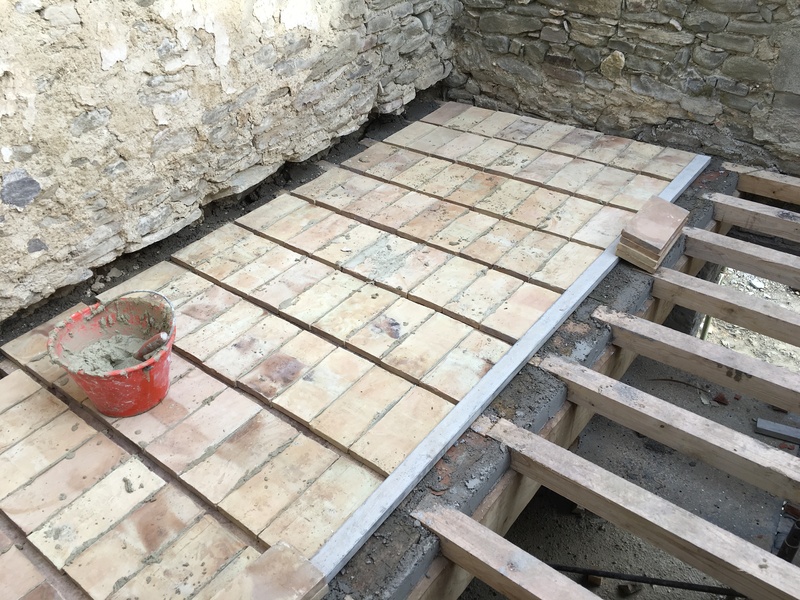 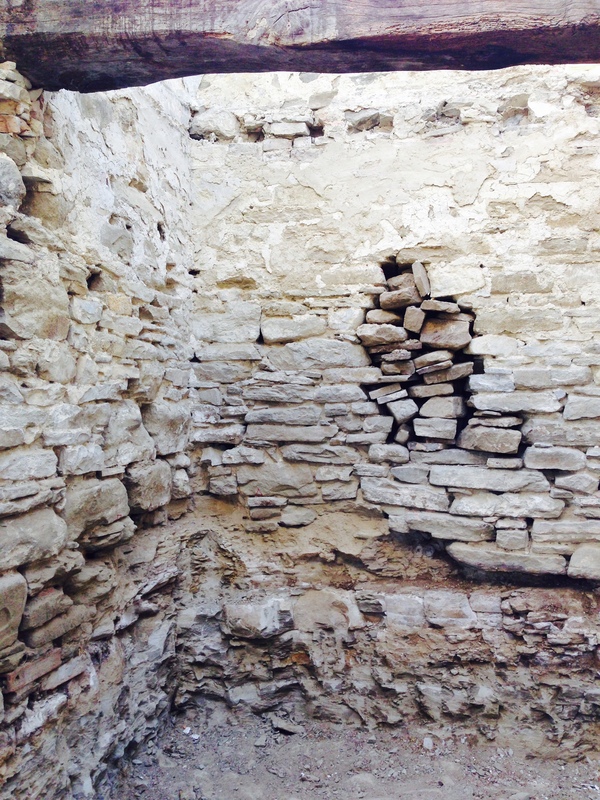 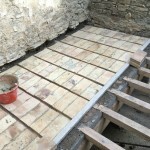 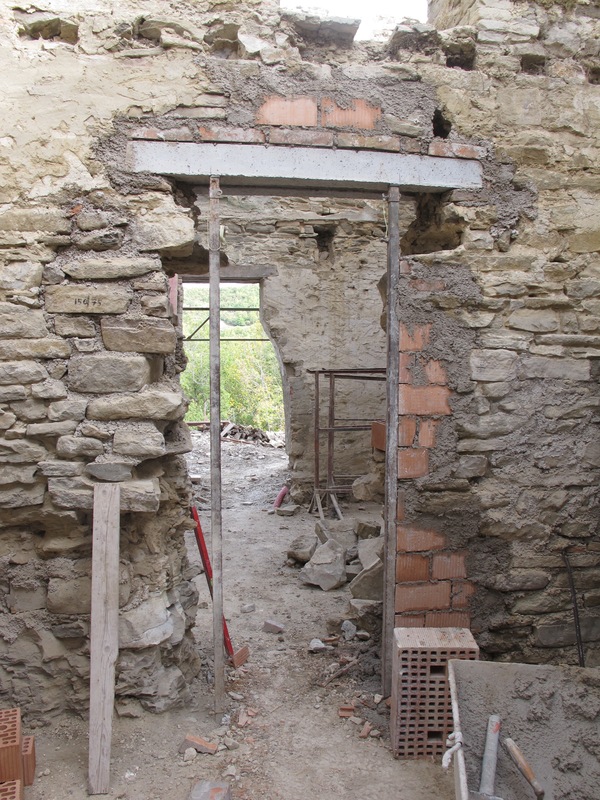 Most of the stone walls needed consolidation as the mortar had become dust and therefore not able to support the new timber floors that we had planned. 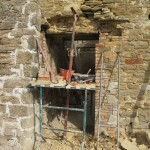 We also wanted to open new windows and doors and demolish the pig sty by the external stairs leading up to the first floor. 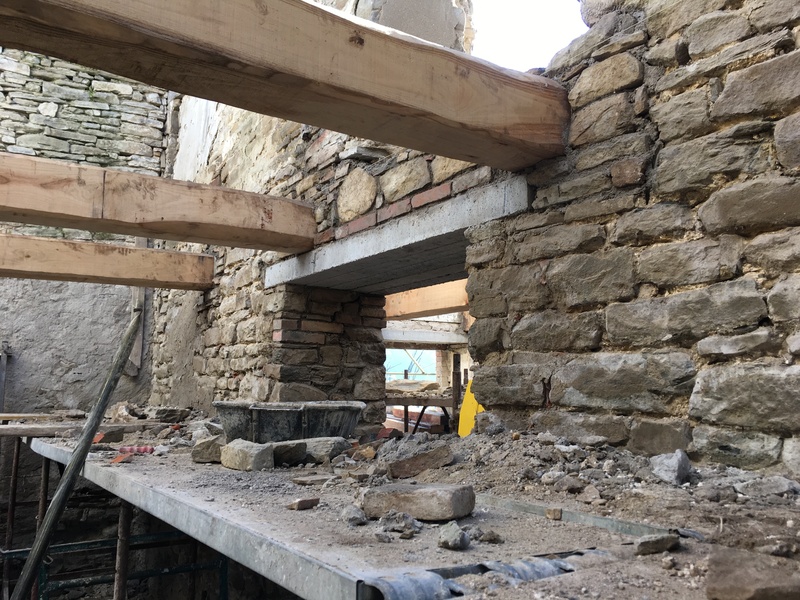 A large kitchen, living area and a studio/bedroom will be on the ground floor, whereas the three bedrooms will be upstairs, accessible via the existing external staircase but also through a new internal timber stairs from the living area. 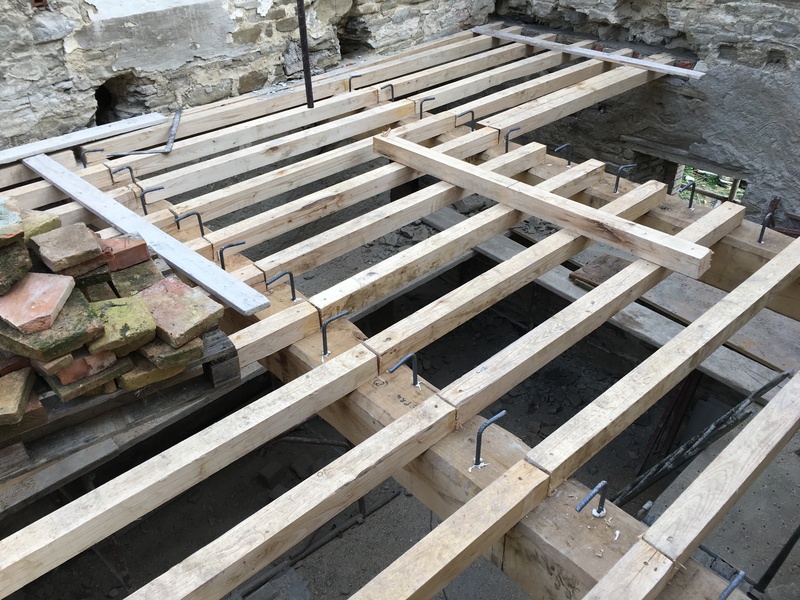 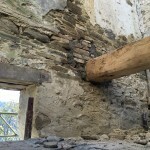 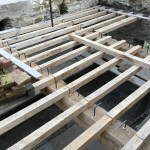 The new floors have been built traditionally, using chestnut timber (main beams and rafters) and terracotta tiles (pianelle). 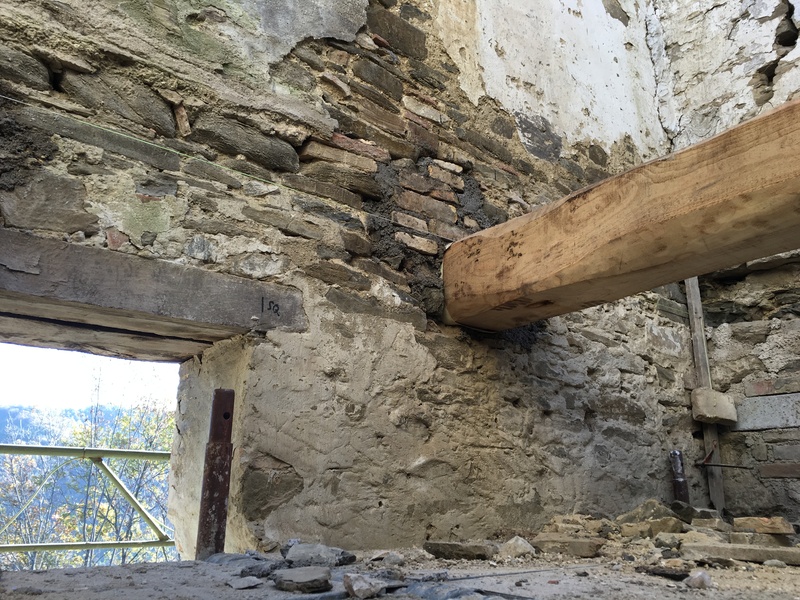 A reinforced concrete slab poured over the tiles enables the structure to be resistant to seismic actions, always possible in this area, close to the Apennines. 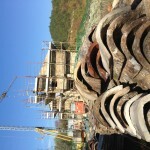 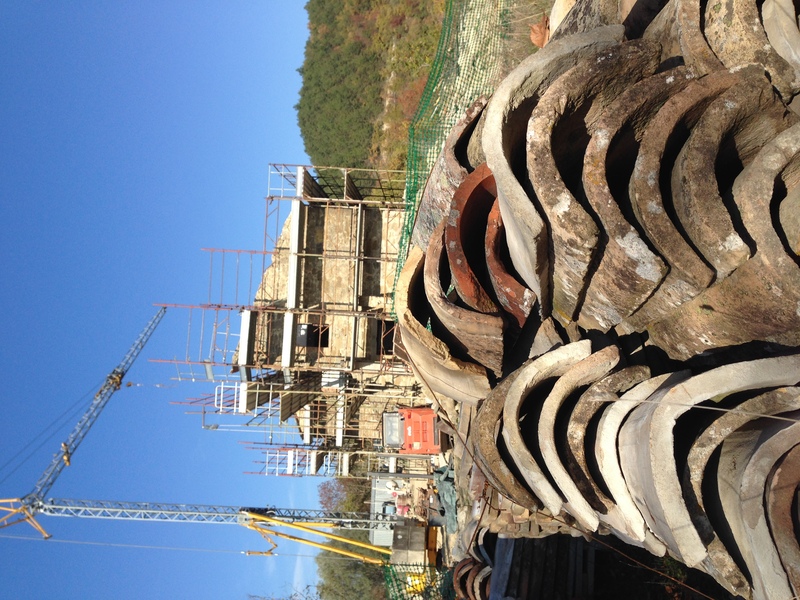 More to come in the next posts, where we can follow another traditional house restoration in Umbria.